A new study will use GPS transmitters to track the movements of wild horses in the Adobe Town Herd Management area, southwest of Rock Springs. Researchers from the University of Wyoming and the Bureau of Land Management are teaming up to track at least 20 wild horses in a project funded by the Wyoming Department of Agriculture. 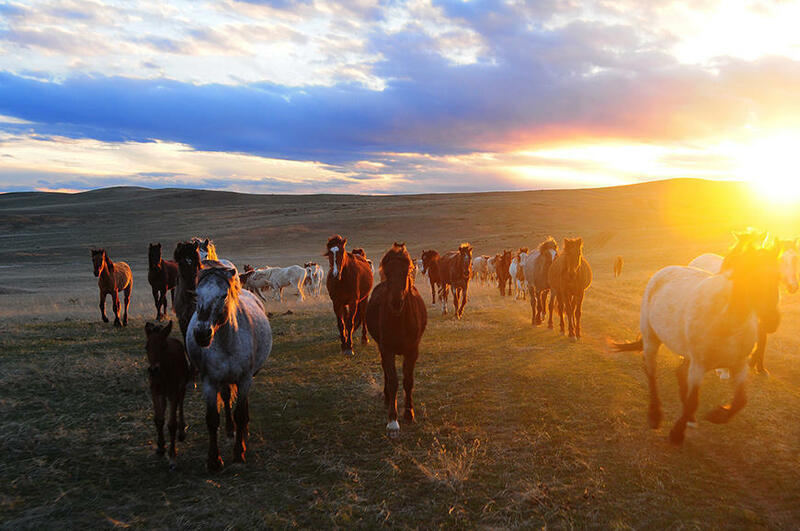 There is little currently known about the migration patterns of wild horses. The GPS collars are the latest in wildlife tracking technology and will allow the researchers to get real time information on the animals via a satellite. The researchers have three specific questions they are trying to answer: how much time are the wild horses spending on private versus public land, how much are they crossing the Wyoming/Colorado border, and how much time are they spending near water and other vegetation? The University has also studied the safety of the device. UW graduate student Jacob Hennig reviewed 95 other studies that also used GPS transmitters on horses and found a less than a 1 percent chance of injury or mortality as a result of the collar. In the past, not knowing how much time herds spend on public lands versus private lands has caused tension between livestock grazers and the Bureau of Land Management. UW Professor Jeff Beck, another researcher with the project, has studied other wildlife using GPS transmitters. When the study is over, Scasta said all he will need to do is push a button on his computer for the collars to drop off the horses’ necks and his team can retrieve the devices. That means less stress for both the researchers and the animal. The wild horses will wear the collars for at least a year.